The Kapil Sharma Show 6th November 2016 Watch Online: One of the India’s best comedian is doing well with his show TKSS after his old one, Comedy Nights With Kapil shut down from Colors TV. Now, he is making people laugh with Sony TV. Most of the time, celebrities are coming to promote their upcoming ventures. At some times, celebs make guests appearances. Last episode was totally made to promote Shraddha Kapoor, Farhan Akhtar, Prachi Desai, and Arjun Rampal starrer Rock On 2 which is to release this month. The comedy show is achieving new heights with the time. On the one hand, some celebs may want to skip the Comedy Nights Bachao, but no one intends to miss The Kapil Sharma Show at any cost. In its entire history, the show has created some of the classic episodes and spread fun and laughter all around. All this has led the host to reach a new level of success. Watch: Koffee With Karan Season 5 Episode 1: Shahrukh Khan and Alia Bhatt. With his comedy, Kapil has become a star icon and one of the richest stars in the television fraternity. Last year, he filed the tax return of about Rs 15 crores. He is always ready to take up new challenges and make them possible. Last weekend was dedicated to Shivaay movie, and Ajay Devgn with his wife Kajol graced the show. Every time and in every episode, not only the hosts, guests celebs but also the audience enjoy to the fullest. Viewers’ questions and requests fill the show with fun moments. 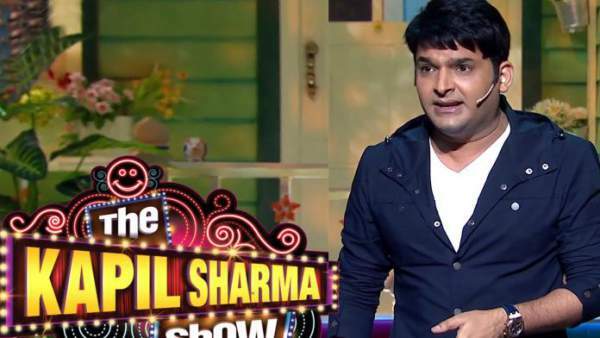 The cable show is a complete comedy and Kapil’s criss-cross questions add the fun element to it. This time four singing superstars came to the show. They are Sukhwinder Singh, Nooran Sisters, and Rabbi Shergill. The episode was a complete musical comedy. The casts came as a band and entertained everyone. Stay tuned to The Reporter Times for latest TV news and Entertainment industry updates. Don’t forget to watch and share it on social media sites. Feel free to add up your thoughts regarding the show via commenting below.